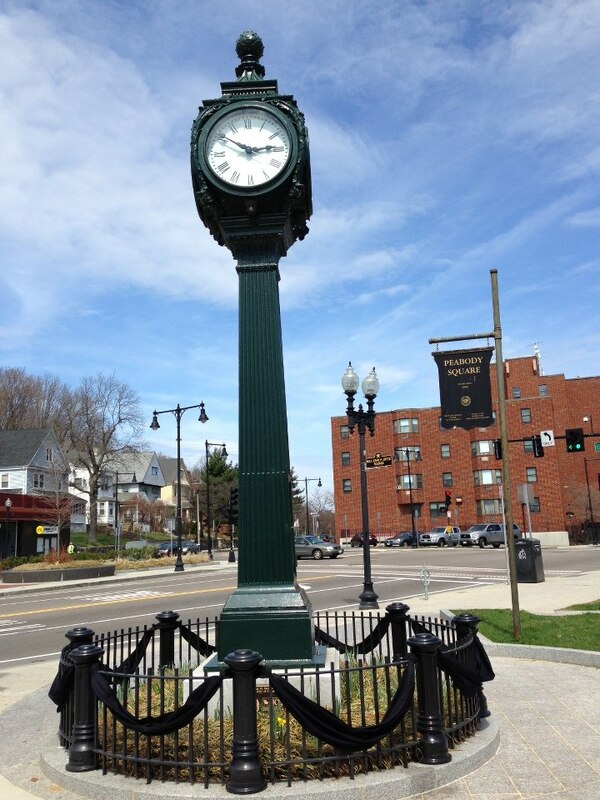 April 16, 2013: "The Peabody Square Clock in Ashmont, Dorchester MA will be stopped indefinitely in honor of those who were injured or died in yesterday's Boston Marathon bombing, and in support of the Richard family, who have done so much for our community. The first bomb exploded at 2:50PM, but its impact on our neighborhood and our city will last forever." 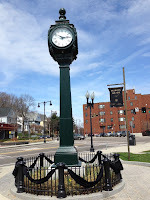 Our community's historic clock bears an eloquent public homage, and has become the focal point for quiet contemplation, memorial flowers, as well as messages of grief, support and love. We'll endure. I'm not sure stopping that clock forever is the right response to terrorism. I think we need to all move forward and not give in to terrorists. Cool blog! I'll have to take a further look around. Where we think it's pretty cool to live in Savin Hill.